May 21, 2013  Architects have come up with spectacular concepts for vertical farms that would grow crops in city skyscrapers. 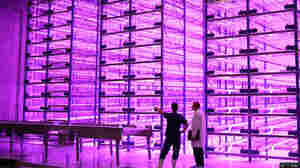 But many horticulturists think the future of vertical farming isn't in skyscrapers, but rather in large, indoor warehouses lit up magenta by superefficient LEDs. 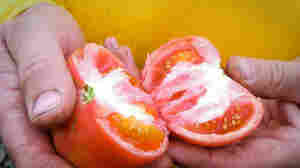 November 29, 2012  Just because it's cold doesn't mean we should have to give up delicious tomatoes. The "buy-local" movement has spurred a boom in greenhouse grown winter tomatoes in cold climates from Jackson Hole, Wyo., to Madison, Maine. And it uses less water and less land than conventional methods.